CHICAGO — Good or bad, your company has a brand. It’s the image it projects and the experience it delivers. Is doing good work enough? Probably not. How people perceive your drycleaning operation—in total—is your brand and affects how they respond to the services you offer. Choose to play it low-key, say, by relying on the generic “DRY CLEANER” sign above the front door to drive traffic and you may find yourself trying to eke out a living in the shadow of your competition. Let’s take a look at a sampling of cleaners, both independent and franchise, and how they create name recognition and define their marketplace positioning for the greatest chance of success. Kermit Engh is CEO of Fashion Cleaners, Omaha Lace Cleaners, and FRSTeam by Fashion Cleaners, all of Omaha, Neb. All are separate businesses that utilize the same production space (which earned an American Drycleaner Plant Design Award for Outstanding Renovation this year). Comparing Fashion Cleaners to Omaha Lace Cleaners offers a good example of the power of branding, he says. Engh acquired Fashion Cleaners 22 years ago and worked hard to build the company into a “premium brand, premium service, premium quality, and associated with that, premium value.” When he acquired Omaha Lace Cleaners 13 years ago, it was competing with Fashion for a share of the same retail drycleaning market but was better known for cleaning bridal gowns and heirloom items. Fashion Cleaners and Omaha Lace Cleaners have independent marketing programs; they are not marketed jointly. The FRSTeam restoration business caters to “a very narrow niche clientele,” and its services are not traditionally marketed directly to the consumer, Engh says. It hasn’t been that long ago that Fashion Cleaners refreshed its brand after Engh put the company through a “lengthy exercise” to define its core values and beliefs. Regarding the latter, he’s pushed his company to stay on the “leading edge of technology,” being the first to introduce a POS system, wet cleaning, automated assembly/bar coding, GreenEarth® and SolvonK4 to the Omaha market. He believes he gets “greater buy-in and understanding” from his employees when they know how and why the company is being operated. When it comes to service, there is internal training for customer service managers. They work a unique schedule: three 12-hour days, then a four-day weekend, every week. 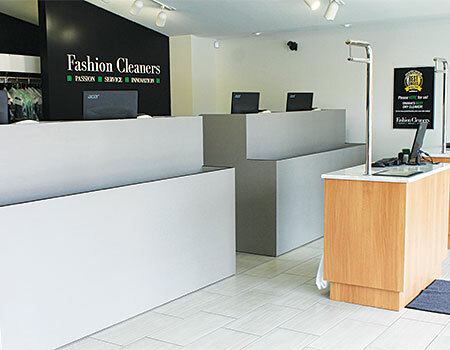 Fashion Cleaners offers incentive programs, benefits, and a 401(k) program to keep employees engaged. While “branding” and “marketing” are related, the two terms are not interchangeable, according to Engh. “Marketing is really the development of campaigns; advertising is a component of your marketing,” he says. “Branding, I think, gets more to the core essence of your company. Marketing reflects that, but I don’t think that it drives it. Wayne Wudyka knows a little something about brand development. Through his Clean Brands International LLC, he owns and operates Huntington Cleaners & Shirt Laundry, Huntington Woods, Mich.; Wesch Cleaners, Birmingham, Mich.; as well as the $100 million international franchise brand Certified Restoration Drycleaning Network (CRDN) and the newest franchise brand, bizzie powered by 1-800-DryClean. When launched at the start of 2013, the bizzie brand presented an all-in-one cleaning solution that offered home/office laundry pickup and delivery, locker-based delivery, and on-location cleaning for window treatments and upholstery. 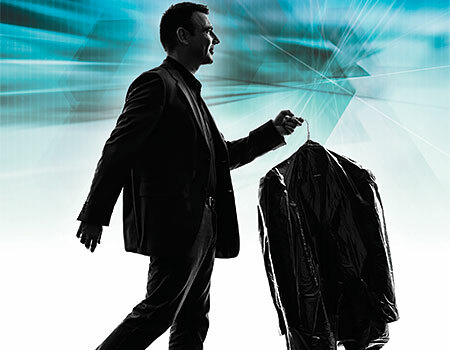 As 2014 dawned, based on feedback from the marketplace as well as customers, bizzie introduced a new model based solely on locker-based delivery for dry cleaning and laundry. “It took a better part of a year to figure out the right way to present to the drycleaning industry the solution that they were most interested in,” Wudyka says. Dry cleaners operating within a franchise structure benefit collectively from the technology, training and leadership that none of them could provide on their own, he adds. Branding and marketing are not synonymous terms, Wudyka believes. How important is leadership’s participation in the growth and development of a small-business brand?